With this Personality Profile, I leave Europe and would like to introduce a colleague from Asia. The person I would like to introduce is Erping Li. In the EMC Society, Erping is well known as the conference chair of the Asia-Pacific EMC Symposium (APEMC). Dr. Li’s connection with electromagnetic research goes back to his Master degree study in 1984 at Xi’an Jiaotong University, a prestigious university located in the western part of China. His supervisor, Professor Chen Degui, assigned him to a project of developing a 2D finite element method for analysis of electromagnetic fields and applications for the design and optimization of a current sensitive electromagnetic device. As you might know in those days, there was no sophisticated computational electromagnetic software. As a consequence, the students had to develop their own code to simulate the electromagnetic problems. 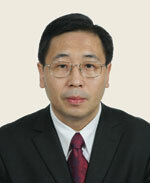 Dr. Li completed his research successfully and obtained his Master degree in mid 1986 from Xi’an Jiaotong University. Thereafter, he continued his research for one and half years at the same location. In early 1989, he was selected by the university to pursue his Ph.D in Sheffield, UK. During his Ph.D research he focussed on the field of three-dimensional computational electromagnetics. 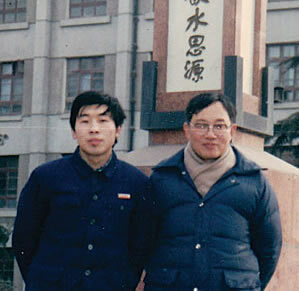 Erping Li (left) and his Master Degree Supervisor, Professor Degui Chen, at the campus of Xi’an Jiaotong University, China in 1984. 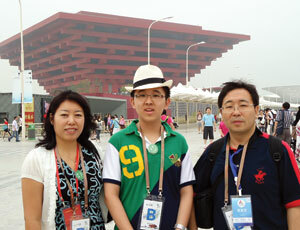 Erping Li and his family, including Mrs. Li (left) and son Junze (center), at the Shanghai Expo in June 2010. Germany in September 2010. 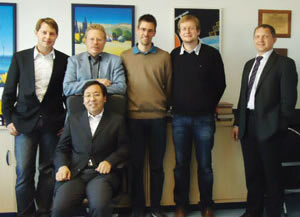 Erping Li (second from left) visited with Professor Wu Qun (far right), Chair of IEEE EMC Harbin Chapter, at the Harbin Institute of Technology, China, December 2009.